1. Check the scene for your safety and prepare to use any personal protective equipment that may be accessible. 2. Check to see if the patient is breathing.Tap and shout, “Are you okay?” to see if victim is responsive. If unresponsive, continue with steps below. 3. Activate EMS by calling 9-1-1 or send someone to call 9-1-1 if available. Get an AED if available. 4. Check the victim’s pulse. Don’t take more than 10 seconds to check for the pulse. Begin CPR if you cannot locate or are unsure of a pulse. 1. Let the second rescuer activate the Emergency Response System (call 9-1-1) and get the AED. 2. 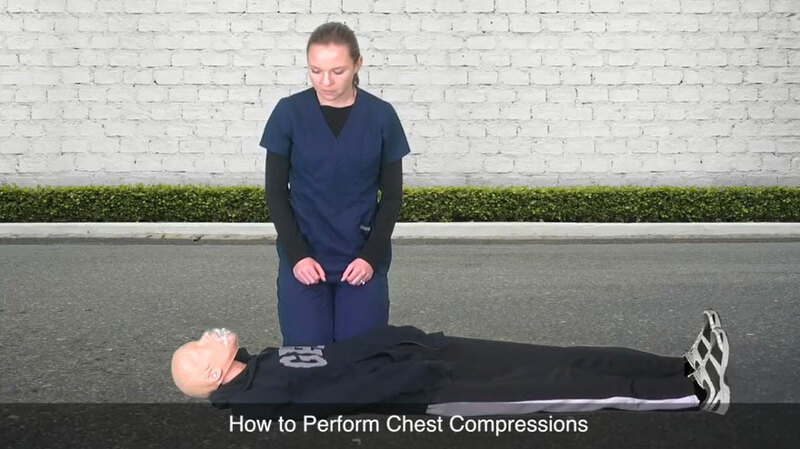 The first rescuer should stay with the victim and be prepared to remove clothes from the chest and start CPR. 3. 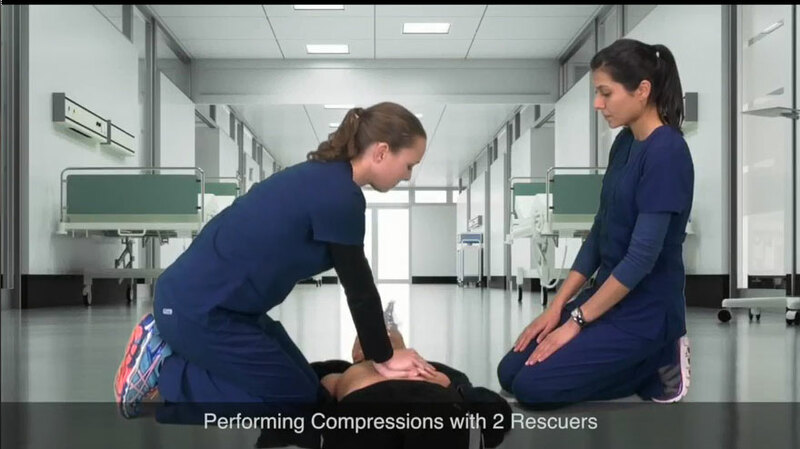 When both rescuers are present with the victim, they should take turns doing chest compressions; switching approximately every 2 minutes. The rescuers should remind each other to push down at least 2 inches but no more than 2.4 inches deep, and watch for proper chest recoil.